It is the fragile ‘skin’ that anchors all life on Earth, comprised of countless species creating a dynamic, complex ecosystem. Soil is one of our most precious resources. Increased demand for agricultural commodities creates incentives to convert forests and grasslands to farm fields and pastures. The transition to agriculture from natural vegetation often cannot hold onto the soil and many of these plants, such as coffee, cotton, palm oil, soybean and wheat, can actually increase soil erosion beyond the soil’s ability to maintain itself. Half of the topsoil on the planet has been lost in the last 150 years. 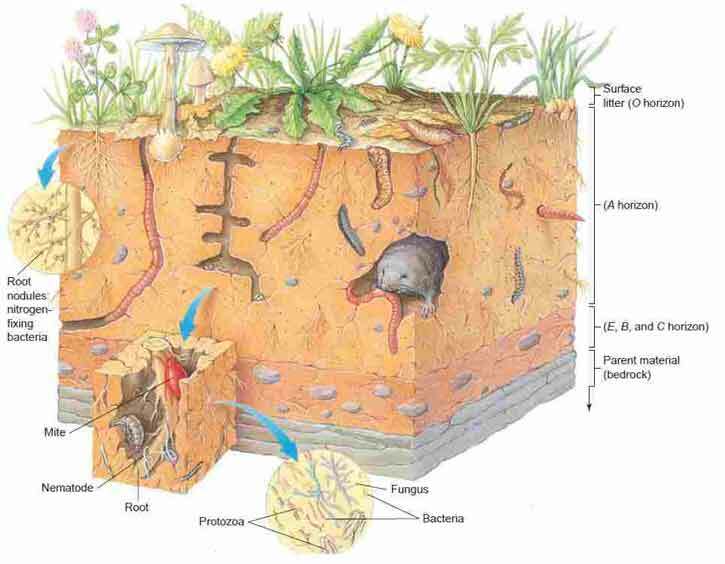 In addition to erosion, soil quality is affected by other aspects of agriculture. These impacts include compaction, loss of soil structure, nutrient degradation, and soil salinity. These are very real and at times severe issues. The effects of soil erosion go beyond the loss of fertile land. It has led to increased pollution and sedimentation in streams and rivers, clogging these waterways and causing declines in fish and other species. And degraded lands are also often less able to hold onto water, which can worsen flooding. Sustainable land use can help to reduce the impacts of agriculture and livestock, preventing soil degradation and erosion and the loss of valuable land to desertification. Such policies must be made a higher priority than mere profit alone lest we destroy the soil which sustains the globally interdependent human community. Implement biochar production and utilization on an industrial scale to augment soil fertility, create alternative bio-oil for energy production, and sequester carbon. Massive education programs in developing nations to combat soil erosion. Many more techniques for soil conservation can be found here and elsewhere online. There are many obvious examples of how human civilization is destroying the habitability of Earth. Climate change and the consequent dying (bleaching) of coral reefs are examples.